Tottenham Hotspur have reportedly joined the likes of Arsenal and Manchester United in the hunt to sign Che Adams from Birmingham City this summer. Tottenham Hotspur will reportedly seek to acquire the services of Daniel Sturridge on a free transfer from Liverpool when the season comes to a close. Tottenham Hotspur are aiming to beat Manchester United to the services of David Brooks in the summer by lodging a club-record bid of around £50m. Tottenham Hotspur striker on Barcelona radar? Tottenham Hotspur striker Fernando Llorente has reportedly emerged as a potential target for Barcelona, who are aiming to bolster the centre-forward department this month. 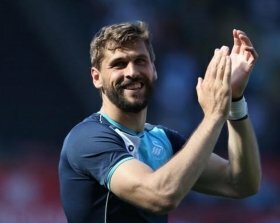 Spain international Fernando Llorente has acknowledged that he would fancy a return to La Liga with Athletic Bilbao amid his struggles for gametime at Tottenham Hotspur. Tottenham are among the clubs interested in signing Sunderland youngster Josh Maja, according to the Mirror. Maja, 19, has scored nine goals in 12 appearances in League One so far this season and has earned plenty of plaudits for his performances. Chelsea are likely to make an approach for Fernando Llorente from Tottenham Hotspur, should they fail in their attempt to sign Olivier Giroud from Arsenal. Tottenham Hotspur manager Mauricio Pochettino has dismissed the ongoing speculation linking Fernando Llorente with a switch to Chelsea. Chelsea head coach Antonio Conte is reportedly planning a fresh attempt to sign Fernando Llorente, who is currently in the ranks of Tottenham Hotspur. Chelsea are reportedly planning a shock move to sign West Ham United striker Andy Carroll. The England international has had his fair share of his injury concerns with the Hammers this term, and has netted just two goals in the Premier League. Ross Barkley looks set to finally leave Everton today as he prepares to have a medical with Chelsea, ahead of a £15 million move to the London club. The England international was wanted by Chelsea back in the summer but turned down the opportunity to join Antonio Conte's side. Tottenham have been linked with a move for Atalanta forward Andrea Petagna and could sign the 22-year-old striker during the January transfer window. Petagna has played for AC Milan and has previously had loan spells with Vicenza and Ascoli. Chelsea head coach Antonio Conte has suggested that he would like to bolster his squad further, but not all the speculation linking with players are true. Crystal Palace winger Wilfried Zaha has been highlighted as a potential target for Chelsea when the transfer window reopens in less than a fortnight's time. Premier League trio Everton, Newcastle United and Tottenham Hotspur could vie for services of Atletico Madrid striker Kevin Gameiro in the New Year. Chelsea owner in contact with Carlo Ancelotti? Premier League holders Chelsea have reportedly made contact with Carlo Ancelotti over a proposed return to the English top-flight next summer. Chelsea could reportedly offload Willian in the January transfer window with manager Antonio Conte looking to sign his compatriot Lucas Moura from Paris Saint-Germain. Chelsea boss Antonio Conte had planned to offload Michy Batshuayi during the summer transfer window, only for his request to be blocked by the Blues' hierarchy. Chelsea boss Antonio Conte has already made up his shortlist of targets to replace Michy Batshuayi during the winter transfer window. The Belgium international has struggled to find the scoresheet in his two Premier League starts this term.